Everyone starting or running a business has been in the position where it feels like things are a bit overwhelming. We’ve all wondered how to get more done. There’s so much to do and not enough time. You have to order new supplies, respond to customer service emails, design new products, book more advertising and get your bookkeeping up to date, let alone doing your tax return, tweeting and updating your Facebook page. When things are like this (which, let’s be honest, is all the time) it’s easy to stick our heads down and try to plough through. Our only focus is how to get more done. However, the nose to the grindstone strategy of dealing with the workload is counterproductive. And why? The simple reason that there will always be more work than we can handle. So if we just put our head down and try to get more done, we will never have a break. And because we are humans, not machines, eventually something important will give way: we mess up a big order, botch a key sales presentation, fail to make strategic plans or, even worse, our health gives way or our closest relationships show signs of strain. We are actually more productive, happier and healthier (and get more done) when we make time for regular downtime in our routine. It allows our mind & body to rest which is important in strengthening our immune system. Think of it as an insurance policy to help prevent getting sick, and recovering more quickly when you do. 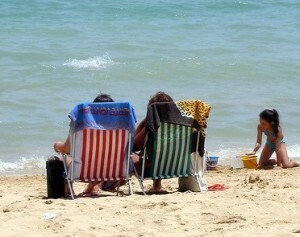 The idea that we cannot afford to take time off is a dangerous myth. Even Y-Combinator participants take time off. Are you using the head down approach? How can you increase your startup productivity and get more done? What simple routines can you incorporate into your daily and weekly schedule to give yourself some time out? Noticing when I feel tired and giving myself a short break instead of pushing it. 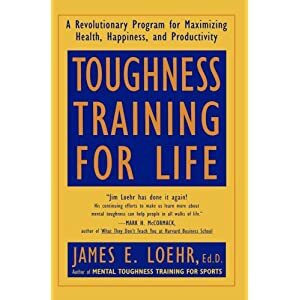 Book: Toughness Training for Life – James E. Loehr. This is an amazing book explaining the principles behind getting more out of ourselves while staying healthy. It covers simple strategies, developed through the author’s experience as a sports psychologist, that you can implement to become more effective. Not the most well-written book I’ve read, but the information is priceless. It’s on my ‘Most personally impacting books I’ve read” list. What do you do that keeps you refreshed and energised? Good point, Susan. And good post. I’ve just started using the Pomodoro technique for similar reasons. Work, do something else, work, do something else etc. It’s like a reset button for my brain. Lots of apps about it but you only need a timer and a piece of paper really. The book Toughness Training for Life that I mentioned in the further reading section is also based on alternating activities (in this case active and passive types of activity.) I think that is a really useful principle. And a timer is an essential tool too! Thanks for the kind words Tricia. And good on you for taking some time off. It sounds counter-intuitive, but I always come back from a short break with a clearer focus.